The Transmission Company of Nigeria (TCN) has successfully completed the new 2x40MVA 132/33kV transmission substation project in Yauri, Kebbi State after being abandoned for 11 years. The new Yauri 2x40MVA 330/33kV Transmission Substation was first awarded in December, 2007 but the contractor failed persistently to complete the contract for 11years. Consequently, TCN took over the project on the May 2018 and completed it. The substation project would be officially commissioned by the Honourable Minister of Power, Works and Housing, Mr. Babatunde Raji Fashola. Meanwhile, one of the transformers has been energized while the second one would soon be energized as soon as the final pre-commissioning issues have been completely dealt with. TCN noted that when it took over the Yauri substation project, installations were only about 50 percent complete and three months down the line, the project has successfully been completed and one transformer energized. According to the General Manager, Public Affairs, Mrs. Ndidi Mbah, the Yauri Substation project is just one of the many contracts that were taken over by TCN from contractors and completed by its in-house engineers. The Yauri Transmission Substation project has increased the quantum of bulk electricity supply to Kano Electricity Distribution Company load feeders for onward delivery to electricity customers in Yauri, Zuru, Koko, Shanga and Wara in Kebbi State. This new 80MVA capacity Substation is one out of the several transmission substation projects of TCN, the current management had taken over from contractors who have shown lack of capacity to complete the projects and completed them. Others include Damaturu, Kwukwaba, Wudil, and Mayo Belwa Substations among others. 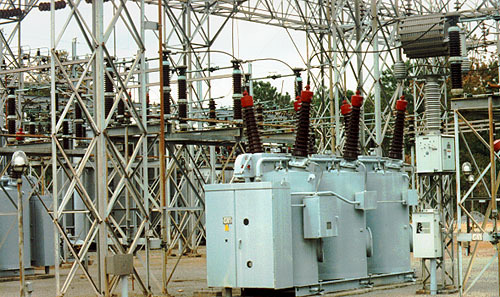 TCN has also completed and commissioned into service over 40 transformers in its substations nationwide, from February 2017 to date.